Atomic Dill Pickles: Dill Pickle Chips. *** EXTREMELY hot. 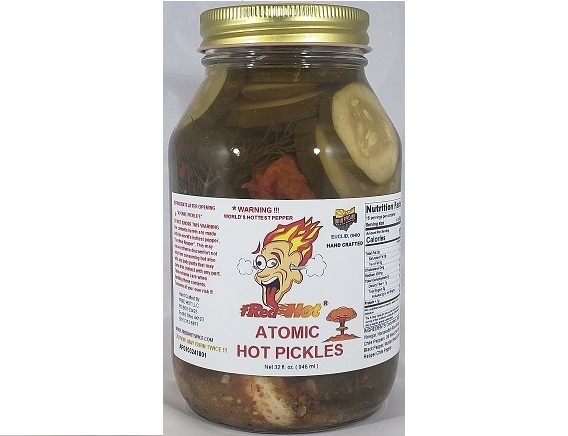 Incredible Dill flavor and spiked with the worlds hottest pepper, The Carolina Reaper, used three different ways !!!! If Fred uses the word ATOMIC to describe something you really should take his word for it.